Guy Opperman's Constituency Diary: Success in my campaign for a new Middle and High School in Hexham! 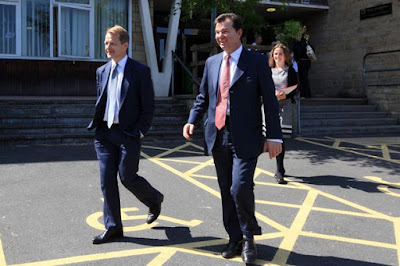 Success in my campaign for a new Middle and High School in Hexham! I am delighted with the announcement that a total of £37million will be invested in two new schools for Hexham! It means new school buildings for Queen Elizabeth High School and Hexham Middle School. When I became our MP in 2010, I decided to campaign for new buildings and more money to be invested in our local schools. As a result, we have seen a full rebuild in Prudhoe and work on new buildings in Ponteland has begun. To improve funding, I launched the Fairer Funding Challenge and have secured increased funding for our schools as part of the Fairer Funding Formula. Schools in the Hexham Constituency are receiving an average funding increase of 3.3%, with some small rural schools benefitting by more than 10%. 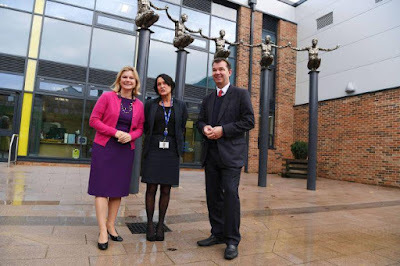 Outside Prudhoe Community High school with former Education Secretary Justine Greening in 2016. The latest announcement means that every high school will have been completely redeveloped, or seen significant refurbishment since 2010. This is fantastic news and I can't wait to see the new schools when they are completed in the next few years.